1 CA Standards Std. 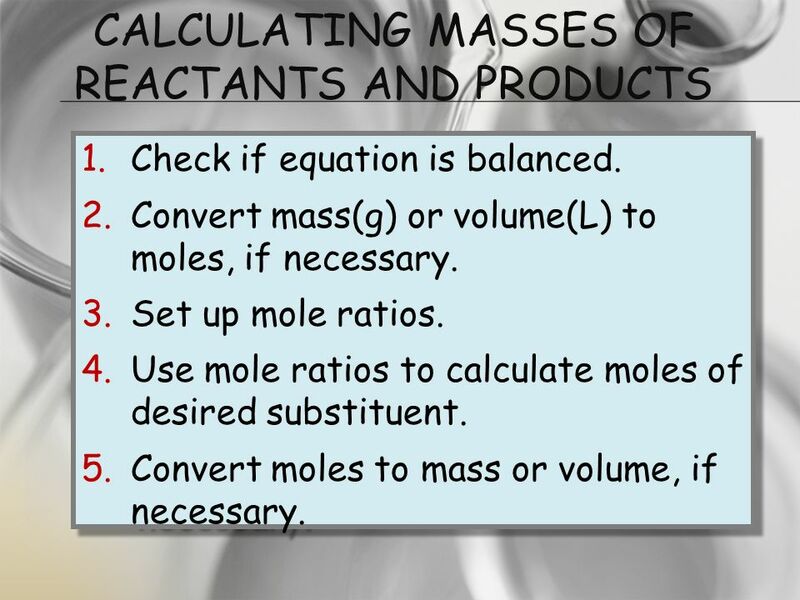 3e: Students know how to calculate the masses of reactants and products in a chemical reaction from the mass of one of the reactants or products and the relevant atomic masses. 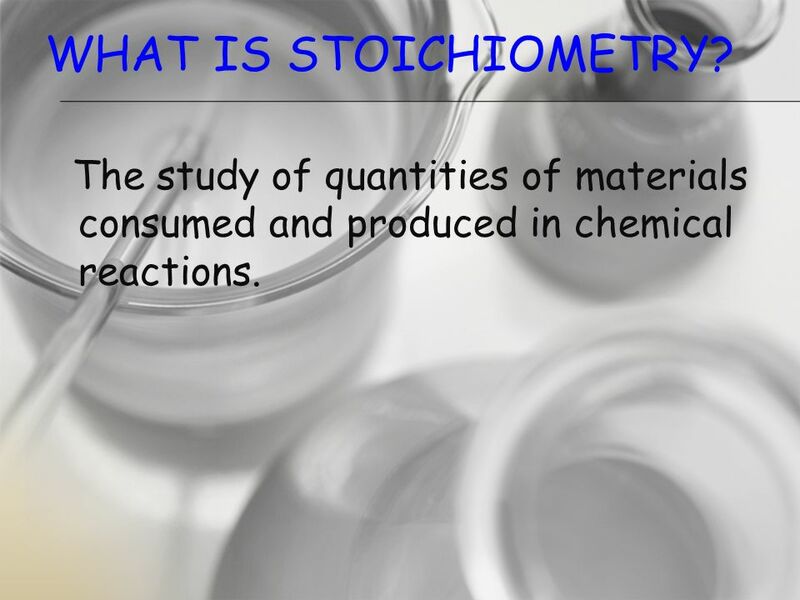 2 What is Stoichiometry? The study of quantities of materials consumed and produced in chemical reactions. 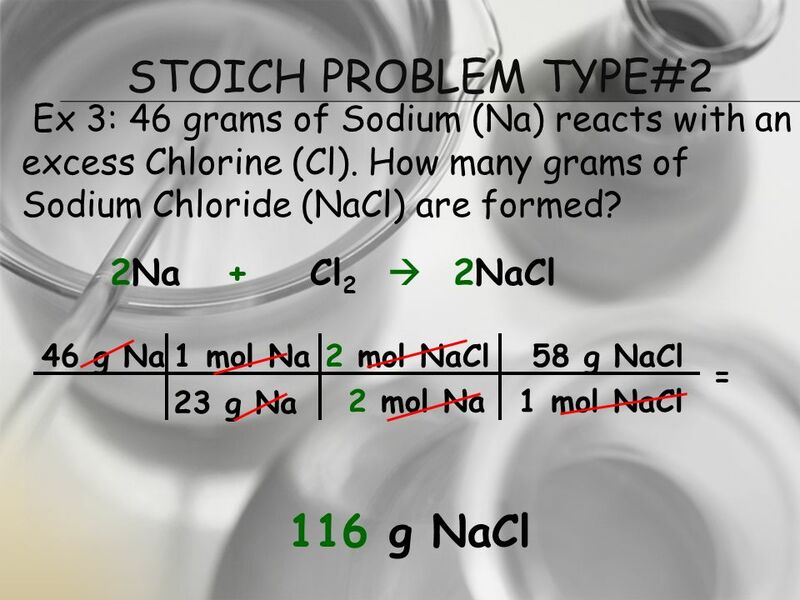 3 How Are Stoich Problems Different? Check if equation is balanced. Convert mass(g) or volume(L) to moles, if necessary. Set up mole ratios. 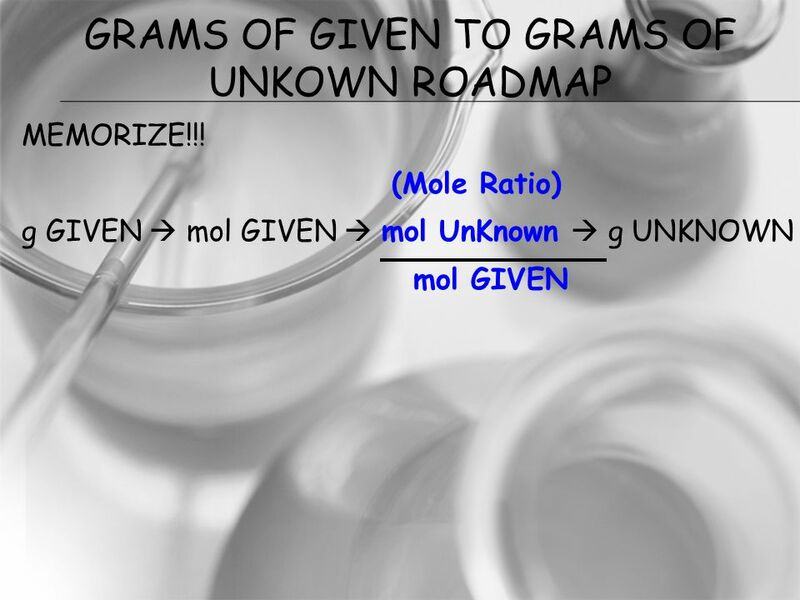 Use mole ratios to calculate moles of desired substituent. Convert moles to mass or volume, if necessary. 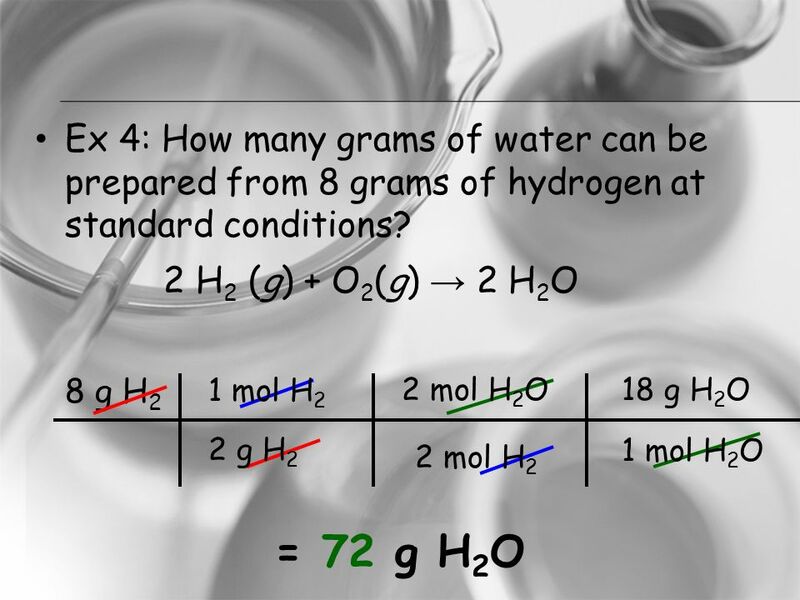 9 Ex 4: How many grams of water can be prepared from 8 grams of hydrogen at standard conditions? 13 END OF UNIT 3: Woo Hoo! 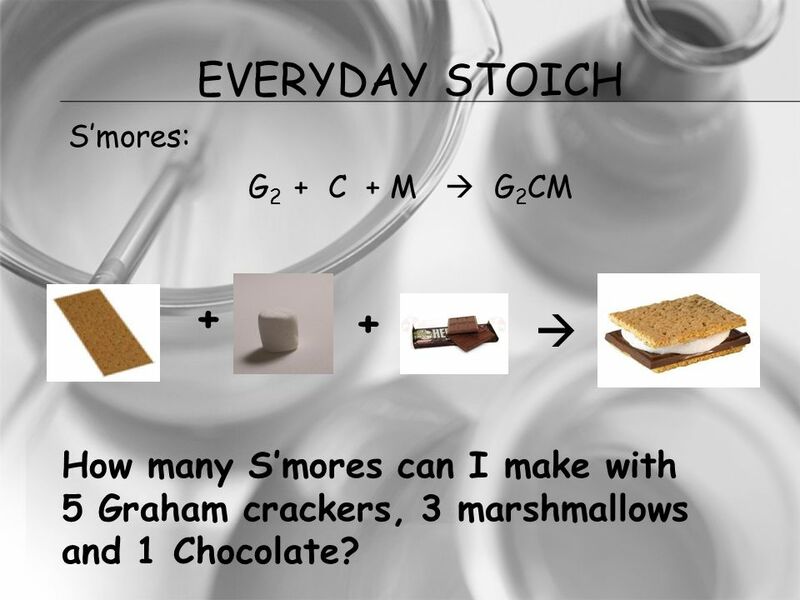 14 Everyday STOICH S’mores: G2 + C + M  G2CM + +  How many S’mores can I make with 5 Graham crackers, 3 marshmallows and 1 Chocolate? 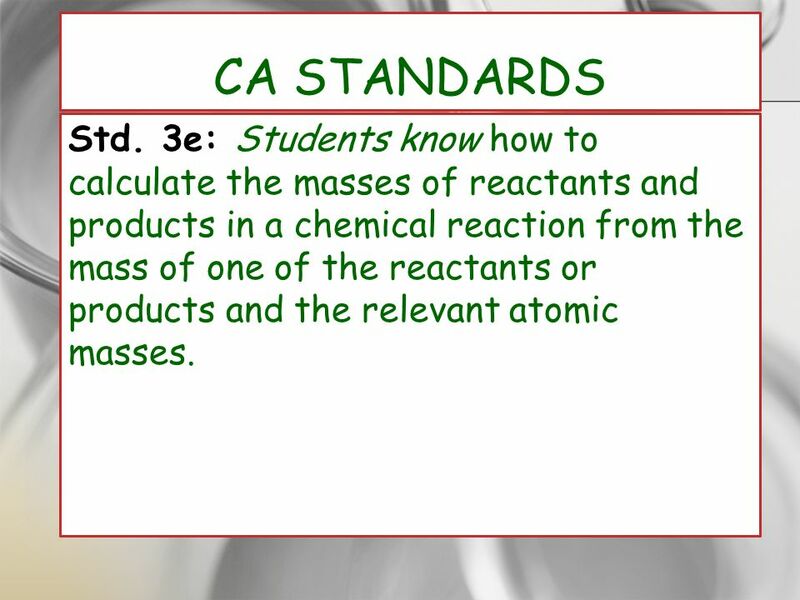 Download ppt "CA Standards Std. 3e: Students know how to calculate the masses of reactants and products in a chemical reaction from the mass of one of the reactants." Stoichiometry “In solving a problem of this sort, the grand thing is to be able to reason backward. This is a very useful accomplishment, and a very easy. 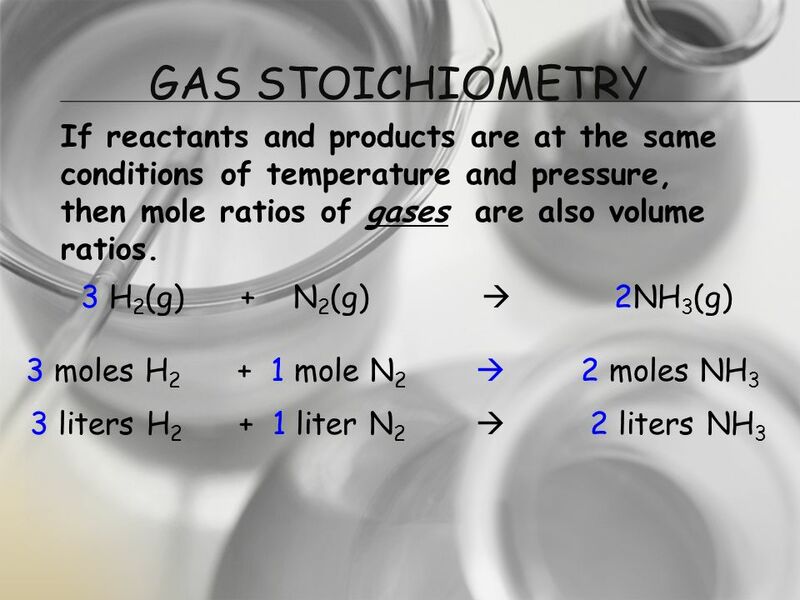 Stoichiometry The calculation of the quantities of chemical substances involved in chemical reactions. Chapter 9 Chemical Quantities. 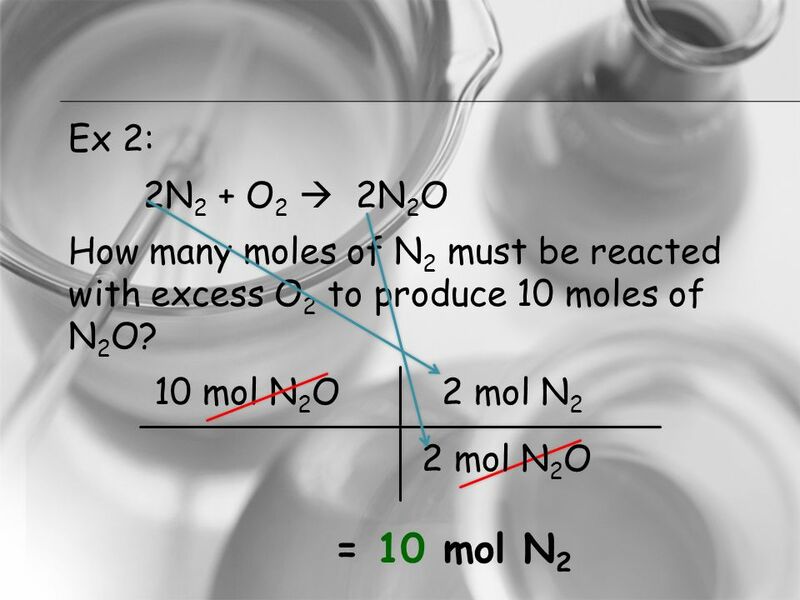 9 | 2 Information Given by the Chemical Equation Balanced equations show the relationship between the relative numbers. Stoichiometry! The math of chemistry . Limiting Reactant.  Determine which reactant is left over in a reaction.  Identify the limiting reactant and calculate the mass of the product.  Calculate. 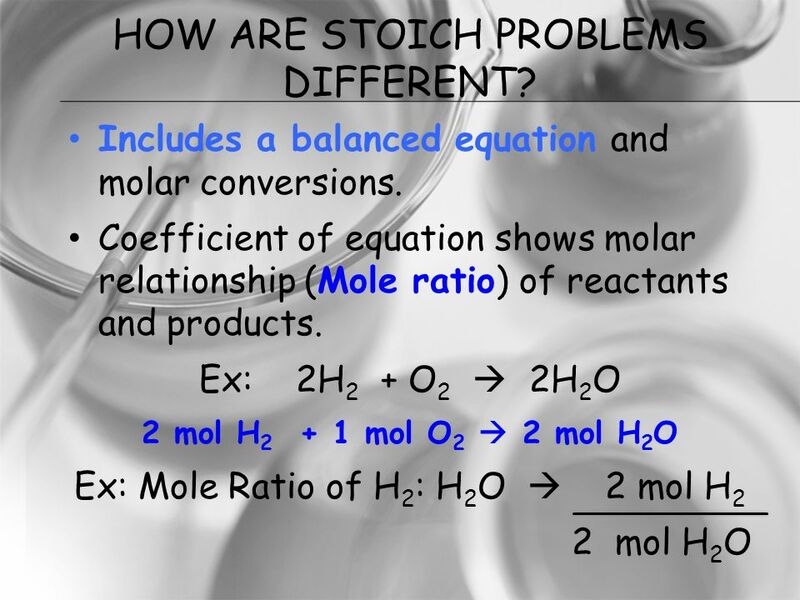 MOLE RATIOS IN CHEMICAL EQUATIONS STOICHIOMETRY ‘ the study of the quantitative relationships that exist in chemical formulas and reactions ’ The study. Chemical Calculations Prentice-Hall Chapter 12.2 Dr. Yager. Wrap up Proving “R” constant. 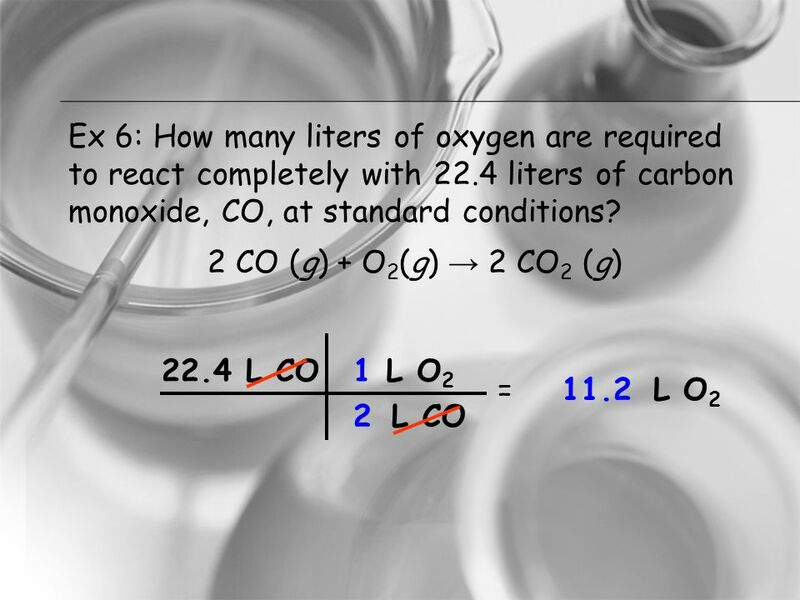  We can find out the volume of gas through Stoichiometry CH 4 + O 2  CO 2 + H 2 O22 Think of the coefficients as volume. 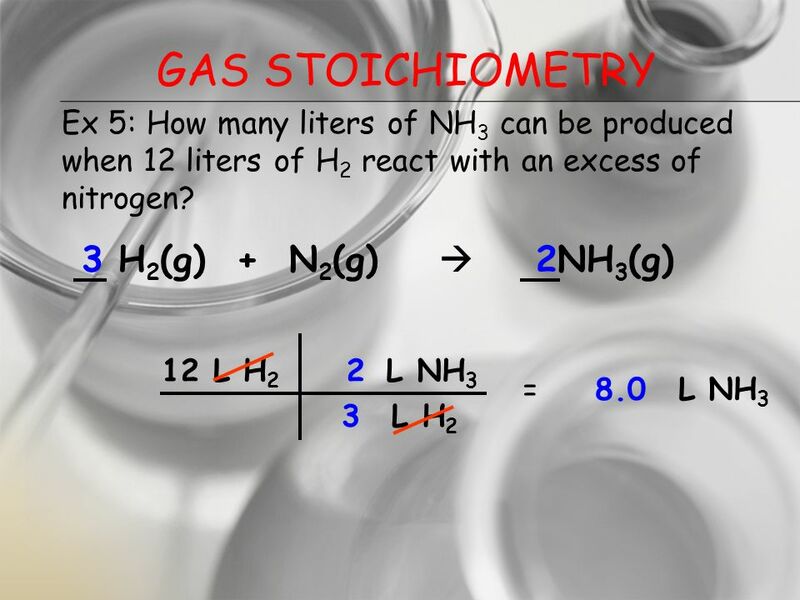 Stoichiometry The Math of Chemical Reactions Unit 9. 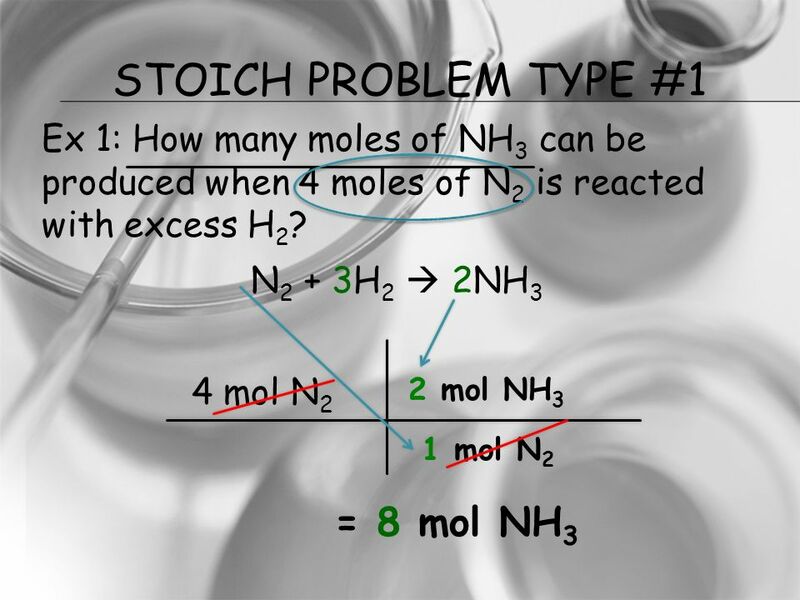 Student will learn: mole stoichiometry problems mass stoichiometry problems volume stoichiometry problems Student will learn: to calculate amount of reactants.